Of Owen Sound, peacefully at Grey Bruce Health Services Wiarton on Saturday April 12, 2014. Mervyn Thomas Deakins at the age of 69 years. 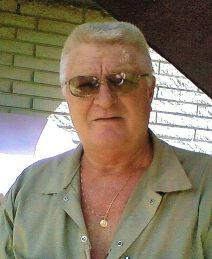 Loving husband of Linda (nee Racicot) for over 30 years. Cherished father of Tracy (husband Jeff Langlois), of Collingwood; Tammy (husband Antony Graver), of Wiarton; Lincoln Porter (friend Tracey), of Toronto; and Jen Porter, of Owen Sound. Proud grandfather of Christopher, Danielle, Ashlee, Joe, Brandon, Paden, and Paige. Devoted brother of Marion Williamson (partner John Cornfield), of Keppel; and brother-in-law of Donny Racicot, of Vancouver, Patsy (Norman Plourde) and Susy Sparling (partner Dan), both of Iroquois Falls, and Joyce Racicot, of Kamloops, BC. Sadly missed by his many nieces, nephews and friends. Predeceased by his parents Mervyn and Millie (nee Gault); son Trevor; brothers Allan, and Doug; brothers- in-law Bob Williamson, Richard Racicot, and Joseph Ryan; and sister-in-law Judy Ryan. Family invite you to gather with them at the Thomas C. Whitcroft Peninsula Chapel, 272 Berford St., Wiarton (519) 534-5341 on Wednesday April 16, 2014 for visitation from 12-2 PM, where a service to celebrate Tom’s life will be conducted at 2 o’clock. Cremation has taken place. Donations to the Zion-Keppel United Church would be appreciated.